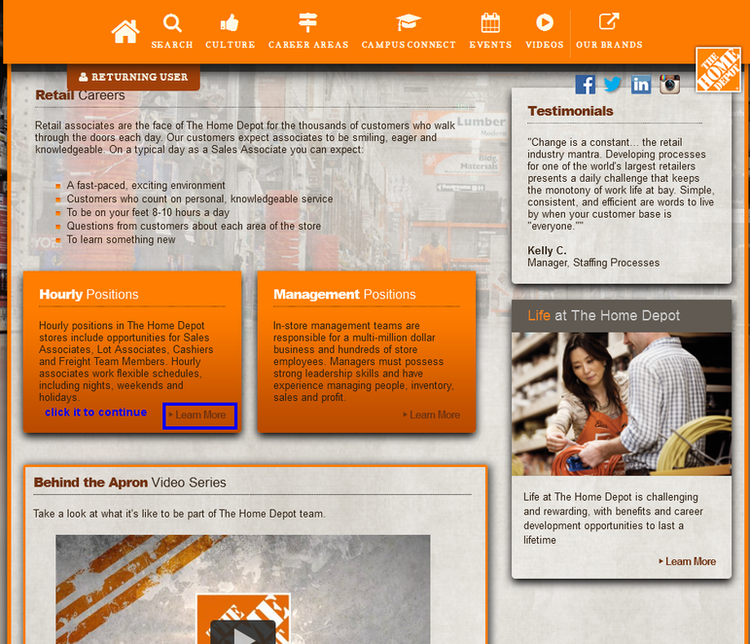 Go to homedepot.com/careers or careers.homedepot.com, put your mouse on the top banner and find career area, and then you can get the whole job category, select a category to go on. Or you can also scroll down the page to take a short cut to recent postings. We chose retail category to go on, next we will see this page. There are hourly positions and management positions, choose one to move on. There are some basic introductions about retail position on the this page. Click search button to start. Choose a state or type your zip code, press go to continue. Now you can check your search results. Put your mouse on the job title to see the job purpose. Click to see the job details if you wish to apply. 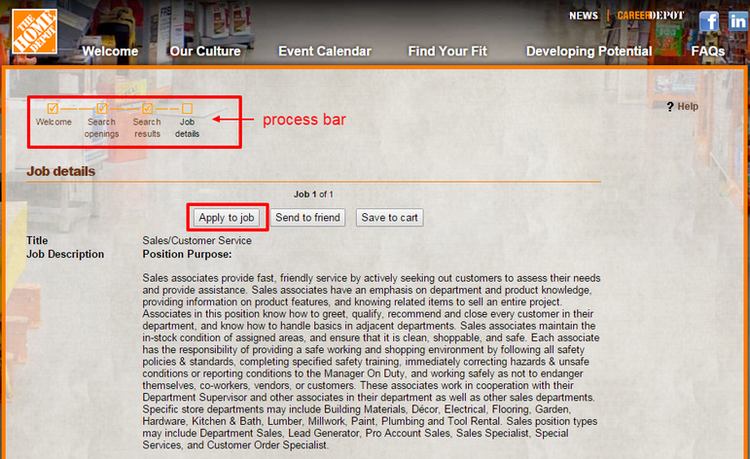 There’s “Apply to Job(s)” button above the page, you can use it to apply for couple of jobs at one time. You can see piles of description about the job, including job tasks, responsibilities and some key accountabilities. Read them carefully before your application. 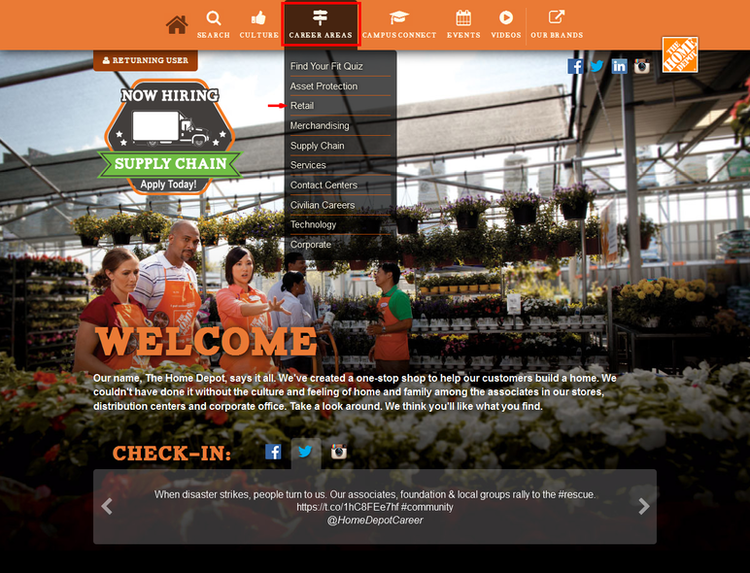 Home Depot requires applicants to register a new account when they apply for jobs on this site. Fill up all the necessary information to finish your registration. If you are a returning user, please sign in. You need to consent few agreements and answer the required question to get your application started. The next will be upload resume, personal information, previous experiences etc. Most of these are forms, all you need to do is to finish these forms and complete your application. 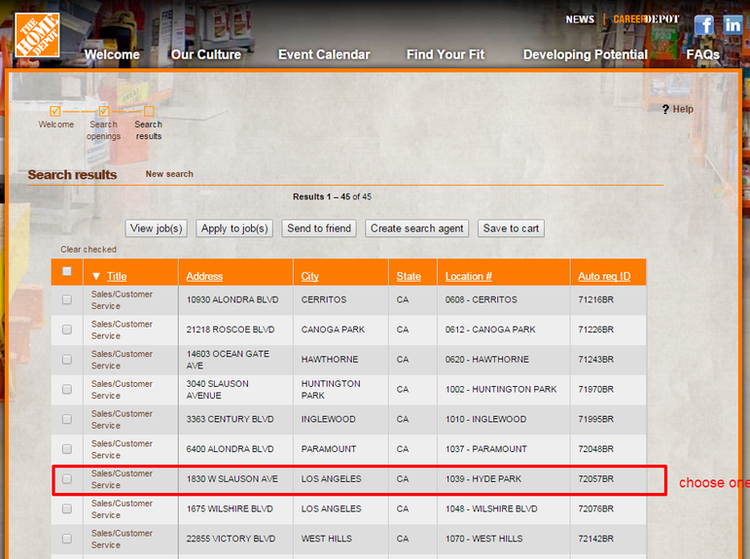 Click careers.homedepot.com to apply for Home Depot jobs online.